Are you looking for new suppliers for varistor ? Kingtronics will be the satisfying choice. 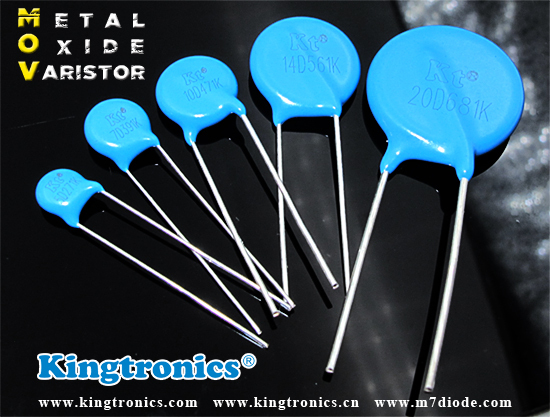 Below some features and application information for varistor for your reference. Please contact us without and hesitation ! ISO 9001: 2015 manufacturer, 2 factories, ISO & UL & SGS certified. 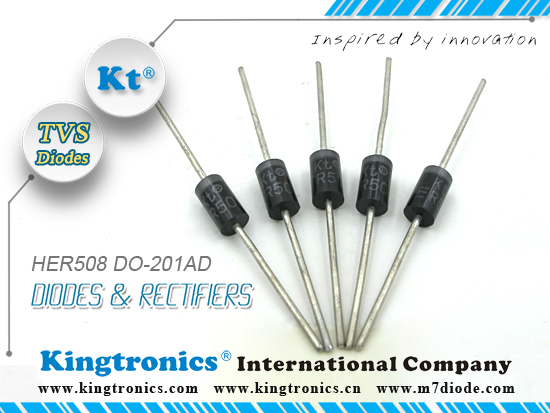 Kt Kingtronics TVS Diodes can be used in Computer and Industrial application. You can check detailed information on the below table. Please continue to follow us, we will show you TVS Diodes other application content. 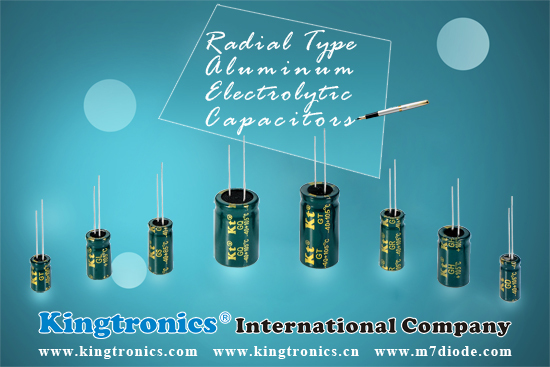 Kingtronics sell 2-Electrode arresters and 3-Electrode arresters, as well as SMD Surge Arresters. -- ISO 9001: 2008 manufacturer, 2 factories, ISO & UL & SGS certified. -- Meet us at Electronica 2012, Booth No. : B6.437/5, 13-16 November ,2012, Munich, Germany. -- Meet us at electronicAsia 2012，Booth No. : 5G-D12, 13-16 October 2012, in HK. Variable resistors used as potentiometers have all three terminals connected. This arrangement is normally used to vary voltage, for example to set the switching point of a circuit with a sensor, or control the volume (loudness) in an amplifier circuit. If the terminals at the ends of the track are connected across the power supply then the wiper terminal will provide a voltage which can be varied from zero up to the maximum of the supply. 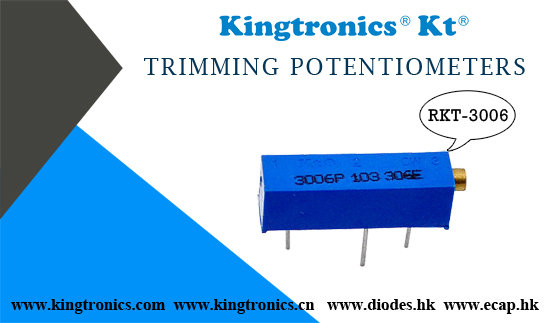 Kingtronics are potentiometers manufacturer since 1990. Trimming potentiometers are Kingtronics' first products. 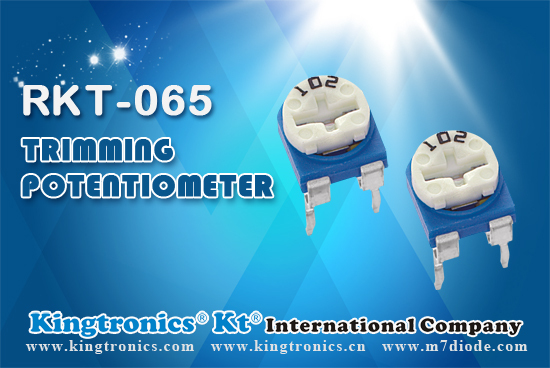 RKT-3006 is one of the Trimming potentiometers,It is used where very precise adjustments must be made.RKT-3006 has 3 terminal styles:3006W, 3006P, 3006Y. The screw must be turned many times (10+) to move the slider from one end of the track to the other, giving very fine control.